White Angular Conference Table features futuristic design using premium quality materials. Beautifully detailed and hand built makes it a very desirable collection. The table top is offered in a variety of textures from wood veneer to leather and tile in almost any color. 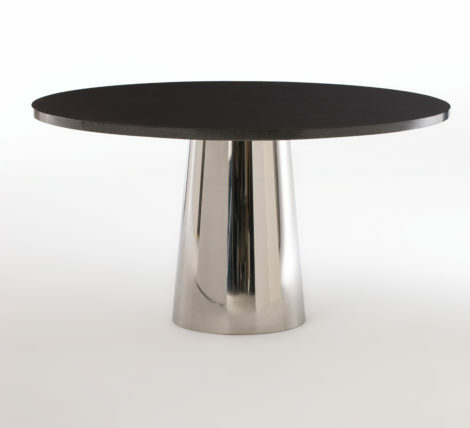 The table base is offered in painted finish, wood or silver. Custom colors provide upon request. The table can be doubled up for side by side run to create a large conference table. Tables are often used for an executive desk which is referred to as a table desk. Premium high-end craftsmanship on a longer lead-time is well worth the wait. Allow about 10 weeks for delivery. Great for home office and residential application. Matching storage, pedestals, credenzas and wall mounted display shelves offered.